Elliot Schlissel is a father’s rights attorney. 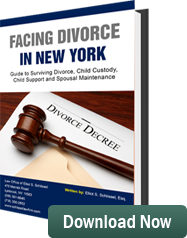 He has been representing fathers in all aspects of custody litigation and family law issues for more than 35 years. He and his associates can be reached for consultation at 516-561-6645, 718-350-2802 or by email to schlissel.law@att.net.